This past week found us tasting some more wines from Royal Wines that came from France and Italy. Two of the wines were DOA. They were the — already fading Rashi Barolo 2000, and the Rashi Select Barbera d’Alba 2003. Both were brown and oxidized, which is a shame, as I was looking forward to the Barbera d’Alba. Other than those two misses there were three nice wines to enjoy. The nose on this deep garnet colored wine was screaming with earth, raspberry, currants, and anise. The wine is a Bordeaux blend of 80% Merlot and 20% Cabernet Franc. This medium to full bodied wine starts with a caressing mouth, that is supported by more earth, raspberry, and currants. The mid palate has more caressing tannins, acidity, and oak. The finish is long with more acidity, tannins, and coffee. We highly recommend opening this bottle at least two hours before it reaches its peak. This wine is really young and will age well for many more years to come. An impressive showing for a mevushal wine. The nose on this electric violet garnet colored wine is filled with earth, raspberry, blackberry, and floral notes. The mouth on this soft light to medium bodied wine starts with earth, raspberry, currants, and cloves. The mid palate is soft with an acidic core and light oak flavors. 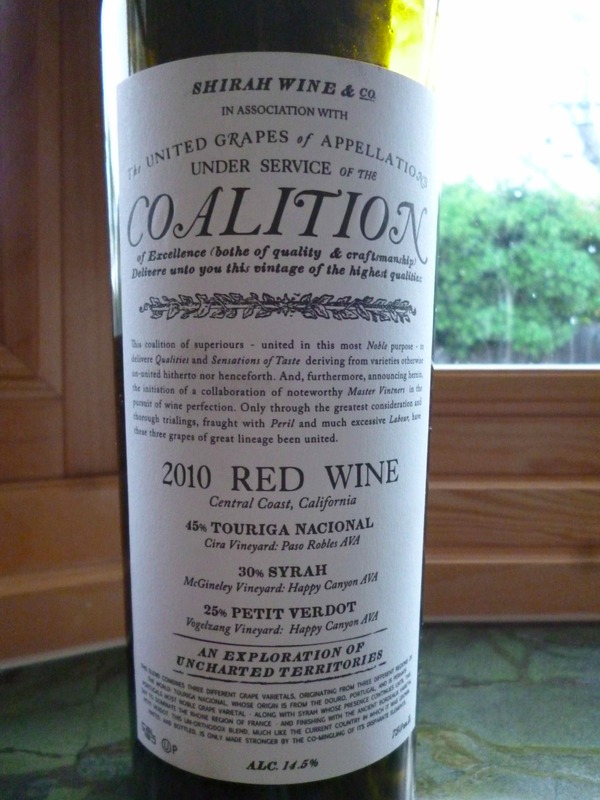 The finish is medium long with more acid and earth on the palate after the wine is gone. The nose on this vibrant garnet colored wine is packed with cherry, coffee, chocolate, oak, mild heat, and raspberry. The mouth on this medium bodied wine starts off a bit hot, but burns off quickly. The mouth continues with cherry and raspberry. The mid palate is dominated by pepper and acidity. The finish is medium long with classical Chianti acid and pepper, along with a nice dollop of coffee. A nice showing for the price.